It was a windy, rainy day here in Daytona yesterday . The waves crashed around me. The sand was shifting under my feet as those waves raced themselves back out to sea. In fact the sand was shifting enough that I was no longer feeling sure footed and felt like I would surely topple into the water at any time. But no sooner had the wave rolled in than it gathered itself and rolled right back out. It occurs to me that there is some correlation between the ocean and mankind, or in other words, that which God has created. In the ocean there is a difference between the tides and the waves. The angry and mighty waves that I experienced were created when the wind transferred its energy to the water through friction between the air and the water. A wave can only happen when it’s windy and is only as strong as the wind that created it. A wave is caused by friction and as strong or as weak as the wind that’s blowing. The tide on the other hand is a constant force. It is caused by the gravitational interaction between the earth and the moon. It’s gonna happen day in and day out whether the wind blows or not. It occurs to me that our lives can be just like that. Ill winds can bring friction to our lives. Those ill winds leave us feeling as if we are standing on shifting sand and ready to topple over. However no matter how hard the winds are blowing in our lives and no matter how hard the waves are crashing around us, if we have secured our footing in our Lord Jesus Christ we can rest assured that He is like the tides and is a ceaseless force in our world. Never take the ceaseless force and power of our Lord Jesus Christ for granted. 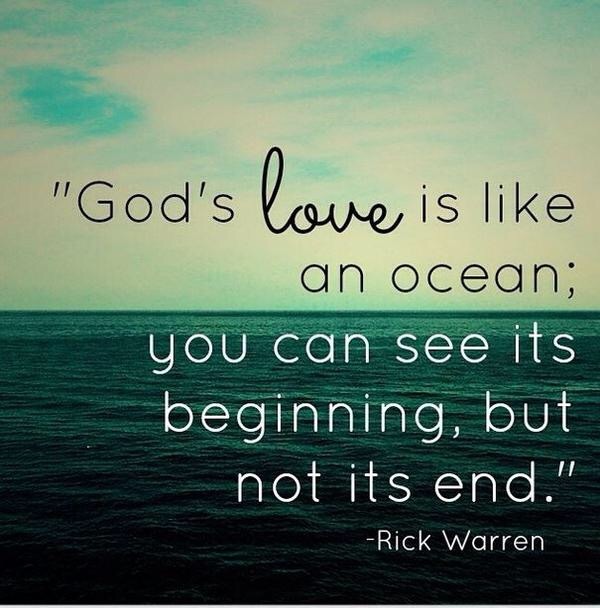 He loved us before, He loves us now snd He will love us forever, no matter how strong the waves crash in our world.